Is Swimwear Fabric Important For Competitive Swimming? The fabric for your competitive swimwear matters. If you’ve ever shopped for competitive swimwear, you understand there are a lot of options out there. Not only do you have to choose between Arena swim team suits, Speedo competitive swimsuits, TYR swim team suits and Dolfin swimwear, but you also have to consider the different fabric options. However, does fabric really matter? 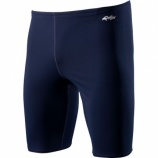 Polyester and a number of poly blends have long been at the top of the list for competitive swimming fabrics. As technology has changed, this type of fabric has morphed into a fabric that surpasses many other fabrics. Some of the attractive features of polyester include its ability to hold color and its resistance to chlorine, as well as being fast-drying, soft, strong and breathable. It is also UV resistant and launders easily. A combination of polyester yarns are woven together to create this fabric features a natural stretch, similar to that which is found in the man-made Lycra. Because it is made from polyester, it offers some of the same advantages, including being chlorine resistant and fast drying. The fabric is also lightweight, which means it is extremely comfortable to wear. The fabric also repels water and is resistant to snags, making it last longer. If you’re looking for an alternative to the popular polyester fabric, nylon can be the ideal solution. This fabric is lightweight and offers a smooth fit to conform to your body shape and help you glide through the water with less resistance. Some of the advantages of this fabric include being resistant to abrasions with great elasticity so your suit will hold its shape. Nylon is extremely soft and absorbs little moisture. However, there are some disadvantages when compared to polyester. For instance, nylon is not chlorine resistant, which means your suit may not last as long. When you’re looking for the ideal competitive swimwear, there are a lot of things to consider beyond the style and color. The fabric you choose will have an impact on your performance, as well as your level of comfort. Whether you ultimately decide on Arena swim team suits, Speedo competition swimsuits, TYR swim team suits or Dolfin swimwear, you will find exactly what you’re looking for. If you’re looking for competitive swimwear, contact us. We carry a vast selection of the best brands so you can find a fabric and fit right for you.